We have come to conclusion that San Diego is our favorite place to visit for mini vacations. For Memorial Day weekend, we went to visit my sister and had a great outing with my family. 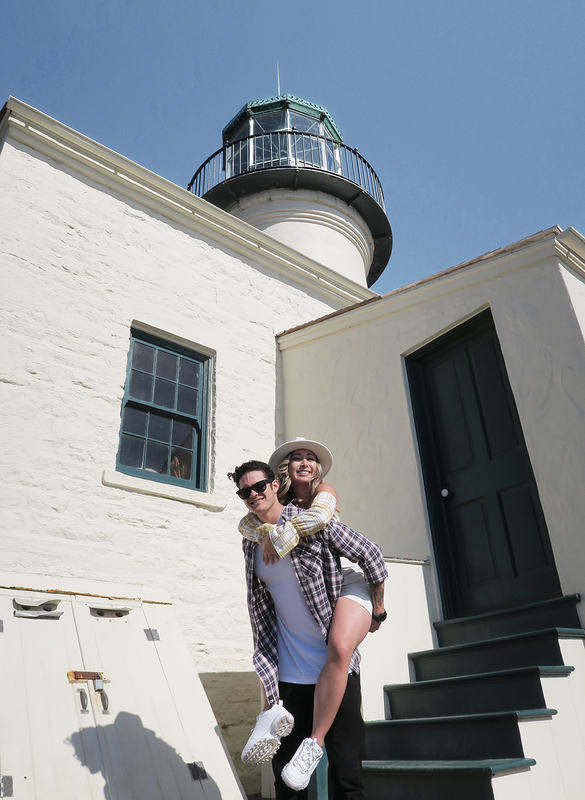 Old Point Loma Lighthouse was on our bucket list to explore. Although it was not intentional for this occasion, but it was perfect timing. Sunny beautiful days like these call for crop tops and cute hats! This felt hat and mustard plaid crop top is from PrettyLittleThing. I love this ivory fedora hat, especially for this season! It makes me feel vacay-ready! If you happen to be stopping by San Diego, make sure you visit this lighthouse for the beautiful scenic views!